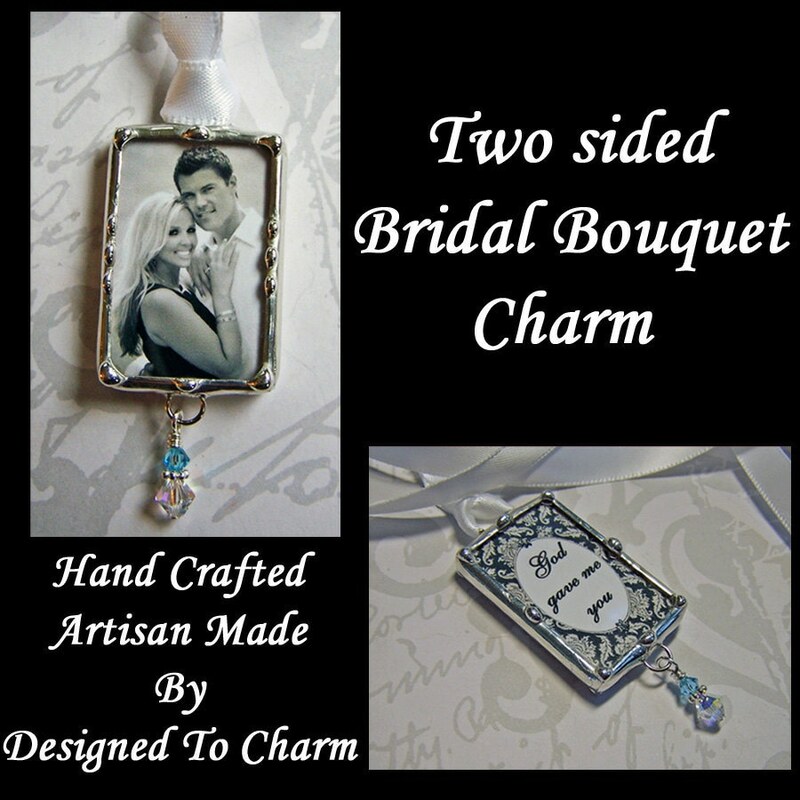 This two sided wedding bouquet charm is handcrafted using a soldering method as used in stained glass. The photo and wording are completely enclosed between glass. This listing is for a 1"x 1 1/2" rectangle. For the same price I have 1 1/2" x 1 1/2" square if your photo is more suited to a square shape. Once you order, I will acknowledge your order and contact you with further instructions as to where to send your details. 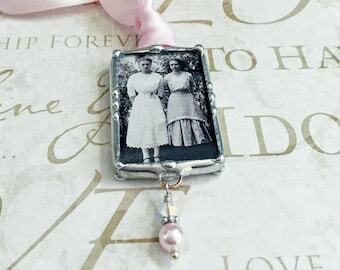 I'm very easy to work with and love to create a keepsake that you will treasure for your wedding day and years to come. *Need a memorial lapel charm for the groom or perhaps bouquet charms for the bridal party? How about a keepsake for the Mothers? Please see other sizes and sample listings in this section of my shop. Had a wonderful experience working with Sharyn. The charm was lovely and I know it will be a family keepsake for many years to come. GORGEOUS! Out of all the things I got for my wedding, these are the most special to me. I got two charms of each set of grandparents and so excited to use them on my bouquet on my wedding day. The quality is fantastic and Sharyn was wonderful to work with. She provides a proof and was able to personalize it perfectly. Thank you, Sharyn!! These were amazing on my wedding day. They brought a tear to my hubby’s eye! !